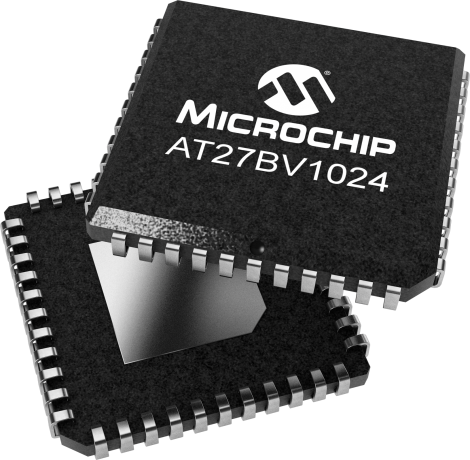 The Microchip AT27BV1024 is a high-performance, low-power, Battery-Voltage 1-megabit One Time Programmable EPROM organized as 64-Kbit x 16. Requiring a single power supply in the range of 2.7V to 3.6V; any word can be accessed in less than 90 ns. With typical power consumption of only 18 mW at 5 MHz and VCC = 3V, the AT27BV1024 consumes less than one-fifth the power of a standard, 5V EPROM. The x16 organization makes this part ideal for portable and handheld 16-bit and 32-bit microprocessor based systems using either regulated or unregulated battery power.